Saint Pierre and Miquelon with its capital Saint-Pierre is located in North America (Northern North America, islands in the North Atlantic Ocean). It covers some 243 square kilometers (one and half times the size of Washington, DC) with 5,533 citizens. 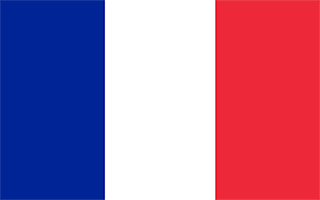 French is the language commonly spoken used by the people in Saint Pierre and Miquelon. This country shares no land borders with another country. 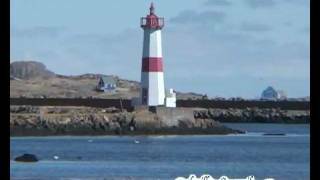 Saint Pierre and Miquelon are a small group of islands in the North Atlantic Ocean, south of Newfoundland and Labrador. Like its northern neighbour, Newfoundland, it is a key fishing centre close to the Grand Banks, some of the world's richest fishing grounds. However, as in Newfoundland, the decline in cod stocks has seriously affected the fishery. As a result, tourism is becoming increasingly important to the economy. The landscape is mostly barren rock. The average density of population is about 23 per km². The climate in Saint Pierre and Miquelon can be described as cold and wet, with considerable mist and fog with spring and autumn are often windy. Potential threats by nature are persistent fog throughout the year can be a maritime hazard. To reach someone Saint Pierre and Miquelon dial +508 prior to a number. The local cellular networks are operated on 900 MHz, 4G. Websites typically end with the top level domain ".pm". If you want to bring electric appliances (e.g. battery chaarger), keep in min the local . The sign for the locally used currency Euro is EUR. A yellow three-masted sailing ship facing the hoist side rides on a blue background with scattered, white, wavy lines under the ship; a continuous black-over-white wavy line divides the ship from the white wavy lines; on the hoist side, a vertical band is divided into three parts: the top part (called ikkurina) is red with a green diagonal cross extending to the corners overlaid by a white cross dividing the rectangle into four sections; the middle part has a white background with an ermine pattern; the third part has a red background with two stylized yellow lions outlined in black, one above the other; these three heraldic arms represent settlement by colonists from the Basque Country (top), Brittany, and Normandy; the blue on the main portion of the flag symbolizes the Atlantic Ocean and the stylized ship represents the Grande Hermine in which Jacques Cartier "discovered" the islands in 1536.